There are responsible and irresponsible ways to spend $1 million: A parking spot in Manhattan? Irresponsible. A private concert from Justin Timberlake? Pretty reckless (but maybe worth it). A public park that will inspire jollity among yougins o’er Southland? Arguably a valuable way to spend a pretty penny. 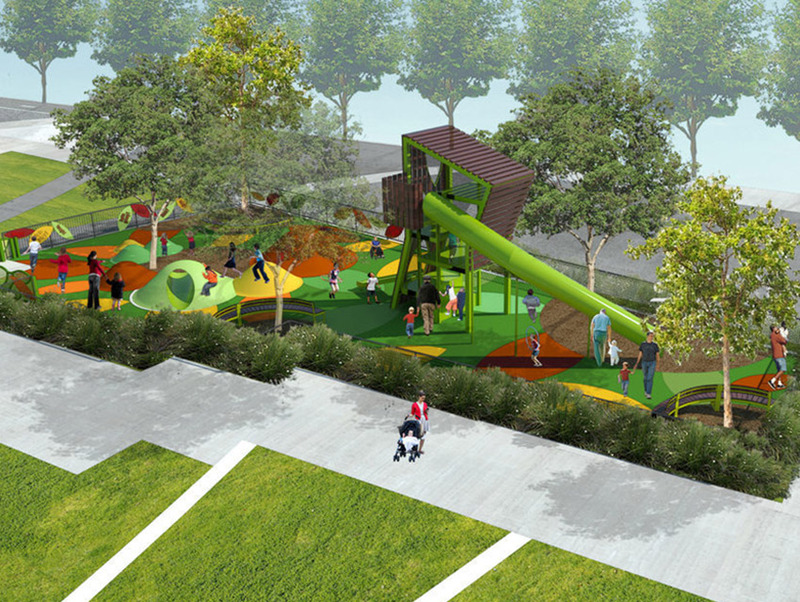 At 2 p.m. this Saturday, November 22, a brand new million-dollar playground will be open for running, sliding, climbing, and general merrymaking at Grand Park downtown. The 3,700-square foot mini-park, designed by Rios Clementi Hale Studios and modeled after a whimsical forest. Considering its cost the playground isn’t exceptionally spacious, but Grand Park Executive Director Lucas Rivera considers it “small, but impactful,” according to the Los Angeles Downtown News. The space features five towering sycamore trees, two slides, seven grassy berms ranging from one to four feet tall, a 10-foot long tunnel made from a recycled water pipe (so L.A.), and more, all meant to exercise kids’ imaginations. The playground’s overall feel was dreamed up by County Supervisor Gloria Molina, who secured half of the steep cost thanks to Proposition A (a measure that allowed for the creation of park space). The other half came from a grant from the local non-profit First 5 LA. Launching the playground will be one of Molina’s last official acts before terming out after 23 years of service. The playground will be open from 5:30 a.m. to 10 p.m. every day, sharing the same hours as Grand Park proper.